Pursue the Brew: Guided Beer Pairing – Empyrean Brewing Co. 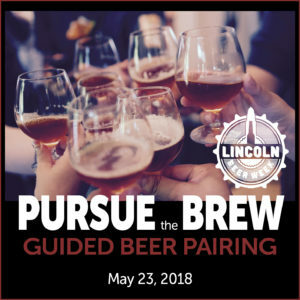 Celebrate Lincoln Beer Week with us! Gain exclusive entrance to the Empyrean Brew House, enjoy a guided beer tasting and amuse-bouche food pairing. Converse freely with brewery staff as they entertain through tips, tales and stories from the inside. Must be 21 years of age or older to attend. Space is limited.